1982 PA-18. N91247, SN 8209013, New Aug. 1982, TT1020, Green & White, Cub Crafter’s Conversion Feb. 2000, TS Rebuild 497, Many mods including new Lycoming 0-360C4P 180 H.P. Airframe: TSN: 509 Props: New McCauley 82” Prop ......more. N652VM. 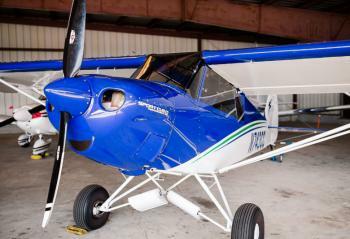 2006 Great flying, super clean, Sport Cub with 228 TTSN. NDH, Garmin 496, GTX 330 transponder (with traffic), 4 into none exhaust, 26" Airstreaks. Priced for quick sale. Engines / Mods / Prop: Continental O-200A 4 into none exhaust (110 HP) Spin on oil filter Quick oil drain......more. 2006 TOP CUB, Absolutely like new! Only 310 TT, Garmin GMA-340 Audio Panel with Intercom, GNS-430 Nav/Com/GPS/Color Moving Map, GTX-330 Audio Panel, 29" Alaska Bushwheels, Vacuum System, Artificial Horizon, Directional Gyro, Leather Seats, Engine Heater, Cub Yellow, July 2018 Annual, Kept in Heated Hangar with Corporate Maintenance, One Retired Professional Corporate Pilot Since New, No Damage, No......more. 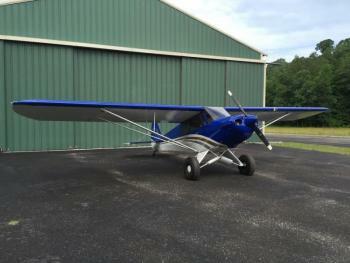 2007 Sport Cub S2, 1825.2TT, 681 SMOH, Garmin SL-40, Garmin 396 GPS, GTX 327, Current Annual. 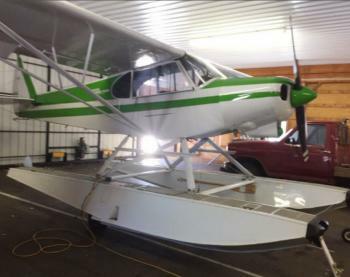 Airframe: 1875.3 Total Time 731 Time Since Major Overhaul S-LSA New Mags - Sept 2017 Performance Exhaust System Cowl Flaps Alaskan Bushwheel Tailwheel and leaf spring 850x6 tires Elevator and Rudder Gap Seals Stainless Steel Break Lines Annual Due March 2019 Engines: Engine: Continental O-20......more.